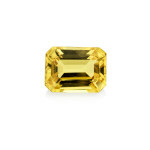 It helps the wearer achieve his/her ambitions and fulfilment of desires and is also widely believed that a girl who wears yellow sapphire will get married early. 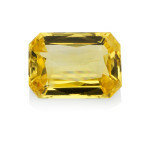 People who are aspirants for an administrative and/or political position should wear it to give themselves every chance and benefit to help them towards their aim. 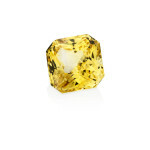 It also has the ability to act as a protective charm. 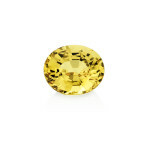 Those who encounter obstacles in their educational pursuits or those who incur losses in property related issues are particularly recommended a yellow sapphire. 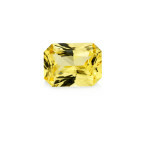 It is also said to help in expulsion of impurities from the body and stimulating the lymphatic system. 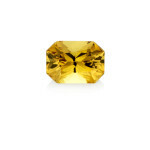 Astrologers recommend yellow sapphire to treat liver and gallbladder problems as well as to correct disorders of the spleen and stomach. 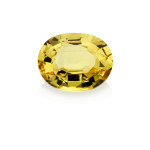 It is generally recommended that the yellow sapphire be set in gold, and be worn on a Thursday, within an hour of sunrise. 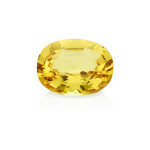 If it is set in a ring, the ring should be worn on the index finger of the right hand. 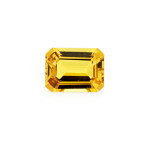 It is vital that the sapphire gemstone is of a high quality and the generally accepted theory is that the larger and cleaner the stone, the better the results. 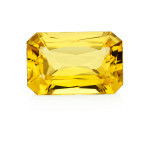 An inferior gem if worn is bound to cause more problems rather than solving the existing ones! 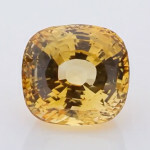 For example, it is believed that a yellow sapphire gemstone with cracks invites direct threats, and one with poor lustre and transparency creates enemies and causes disharmony in the family. 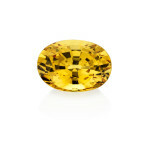 Pukhraj or yellow sapphire has a very special place in Vedic astrology and is considered the representative of the planet Guru or Jupiter which is the largest graha or planet in the solar system. 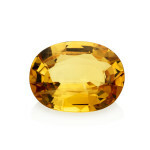 Jupiter is considered an auspicious planet and is related to wisdom, knowledge, good fortune, wealth, power and status. 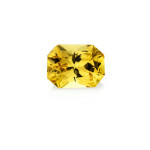 If Jupiter is well-placed in your horoscope then chances are that you will be enabled to enjoy all the good things in life. 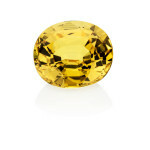 However, if Jupiter is a bad or weak position, it can have the opposite effect. 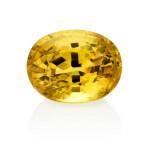 It is often recommended that people wear yellow sapphire to increase the beneficial effects of Jupiter or negate the tribulations caused by a poorly-placed Jupiter. 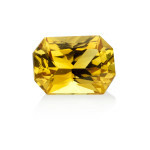 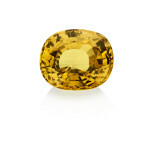 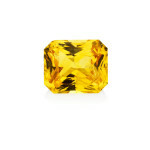 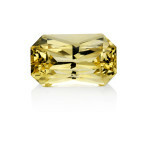 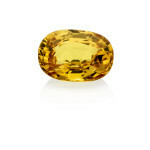 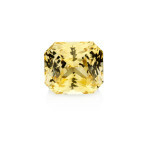 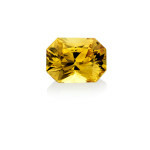 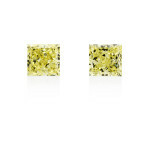 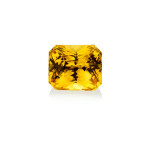 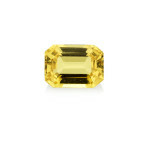 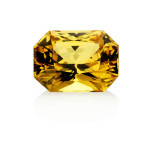 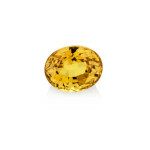 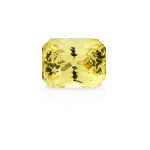 Especially for people born under the signs of Sagittarius or Pisces a yellow sapphire is considered very beneficial.